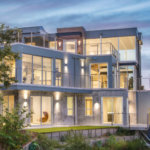 Hard Money Lenders California - North Coast Financial, Inc.
North Coast Financial are California hard money lenders providing various types of hard money loans to real estate investors and borrowers. With over 37 years of experience in hard money lending, North Coast Financial delivers quick approvals and funding, professional service, and very competitive rates. 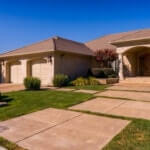 Contact North Coast Financial now and get your hard money loan funded fast. 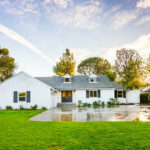 North Coast Financial funds hard money loans throughout California including San Diego, Los Angeles, San Bernadino, Riverside, Ventura, Imperial and Orange County as well as other counties in the State of California. More information about some of the areas we lend is available below. Alameda – Meaning “a place where poplar trees grow” in Spanish, Alameda County is located in the San Francisco Bay Area and represents most of the East Bay region. The current population of Alameda County is approximately 1,600,000. Oakland is the largest city within Alameda County. 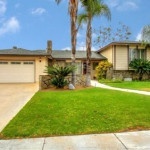 Aliso Viejo – Aliso Viejo was incorporated in 2001 and has an estimated population of 50,000. Located in the San Joaquin Hills of Orange County, California, Aliso Viejo is a planned community created by the Mission Viejo Company. Anaheim – Founded in 1857 by German-Americans looking to grow grapes and produce wine, Anaheim is currently the most populous city in Orange County with an estimated 345,000 residents. It is home to the world-famous Disneyland Resort. – Named after Phineas Banning, a stagecoach line owner who was known as the “Father of the Port of Los Angeles“. Part of Riverside County and incorporated in 1913, Banning has a population of approximately 30,000. It borders the Morongo Indian Reservation. Bakersfield – The city first incorporated in 1873 and then again in 1898. Bakersfield has been experiencing rapid growth over the past 30 years and had their population more than triple. With an estimated population of 363,000, Bakersfield is the 9th largest city in California. 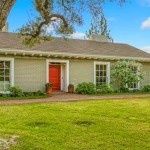 Beaumont – Located within Riverside County with a population of over 36,000, Beaumont continues to grow due to low cost housing and its proximity to Los Angeles. It was nicknamed “the land of the big red apple” in the early 1900’s due to the many apple orchards in the area. Bellflower – Bellflower was originally named Somerset in 1909 but needed to be changed since another town in Colorado was already known by this name. It was then named after the bellefleur apple, which was produced in the area in the early 1900s. Bonita – Meaning “beautiful” in Spanish, Bonita was first the name of a ranch in the area in the 1800’s that produced lemons. Located between Chula Vista, San Diego and National City, Bonita is an unincorporated community with a population of over 12,000. Brea – Brea was incorporated in 1917 and currently has an estimated population of 41,000. Located in Orange County, California, Brea was previously a crude oil production center in the 1800s and then later known for producing lemons and oranges. Buena Park – A city in Orange County, California with a population of over 80,000, Buena Park was incorporated in 1953. Buena Park is home to the Knott’s Berry Farm theme park and was previously home to a Nabisco factory famous for its crackers and cookies. Burbank – Founded in 1887 and incorporated in 1911, Burbank has an estimated population of 105,000 and is part of Los Angeles County. Often called the “Media Capital of the World”, Burbank is home to many entertainment and media companies. 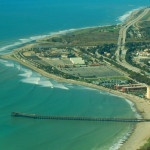 Carlsbad – Known as “The Village by the Sea”, Carlsbad has a population of over 112,000. 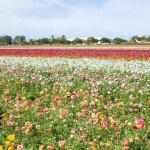 Carlsbad was incorporated in 1952 and is home of LEGOLAND California, The Flower Fields and the country’s largest desalination plant. 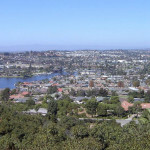 Chula Vista – Meaning “beautiful view” in Spanish, Chula Vista is the second largest city in the San Diego metropolitan area with a population of approximately 250,000. 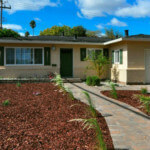 It has been one of the fastest growing areas in San Diego with thousands of homes being built in the past decade. Coronado – Meaning “the crowned one” in Spanish, Coronado is an island that sits in the San Diego bay. 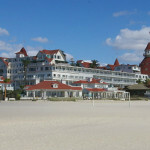 Coronado is home to the the Naval Amphibious Base where Navy Seals train and the famous Hotel Del Coronado. Costa Mesa – Incorporated in 1953, Costa Mesa is part of Orange County and has a population of approximately 110,000. 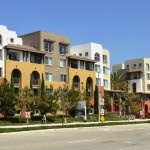 The current economic base of Costa Mesa includes light manufacturing, retail and commerce. Cypress – Cypress is located in Orange County, California and was originally named “Dairy City” before being changed to Cypress in 1957. Cypress has an estimated population of 49,000 and was incorporated in 1956. 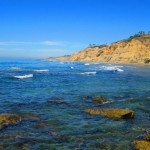 Dana Point – Dana Point is a seaside city known for its harbor, beaches and surfing. 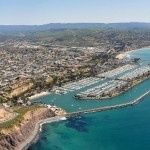 Dana Point is located in southern Orange County, California. Dana Point has a population of 34,000 and was incorporated as a city in 1989. Del Mar – One of the few areas where the rare Torrey Pine tree grows, Del Mar is beach city with a population of around 4,000. 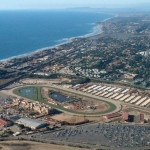 Del Mar means “of the sea” in Spanish and is home to the Del Mar Racetrack. Downey – Downey has an estimated population of 113,000 and is best known for being the birthplace of the Apollo space program. Prior to World War 2, Downey was a farming town and local farmers grew castor beans, fruit, grain and corn. El Cajon – Meaning “the box” or “the drawer” in Spanish since it is “boxed in” by the nearby mountains, El Cajon has a population of over 100,000. 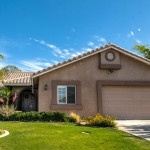 The neighborhoods of Rancho San Diego, Bostonia and Fletcher Hills are included within El Cajon. 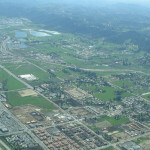 El Monte – Part of Los Angeles County and located in the San Gabriel Valley, El Monte has an estimated population of 115,000. The population of El Monte increased rapidly in the 1970’s as residential areas were built in place of the city’s walnut groves. It was incorporated in 1912. Encinitas – Encinitas was incorporated in 1986 and includes the communities of Olivenhain, Leucadia, Cardiff-by-the-Sea, historic Encinitas and new Encinitas. 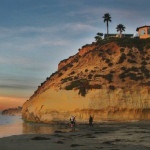 Meaning “little oaks” in Spanish, Encinitas is a beach city with a population of 60,000. Escondido – Home of San Diego Safari Park (Wild Animal Park), Escondido, California is one of the oldest cities in San Diego County having been incorporated in 1888. 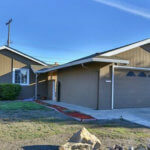 The population of Escondido is approximately 145,000. 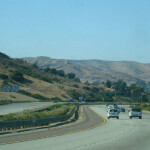 Fallbrook – Fallbrook is east of Camp Pendleton military base and has a population of around 30,000. Known as the “Avocado Capital of the World”, Fallbrook has many avocado orchards and hosts an annual Avocado Festival. Fountain Valley – Fountain Valley is located in Orange County, has an estimated population of 55,000 and was incorporated as a city in 1957. The city was named Fountain Valley because the area had a very high water table in the 1950s. Fullerton – Founded in 1887 and incorporated in 1904, Fullerton is a city in Orange County with an estimated population of 135,000. Fullerton has been home to various industries including agriculture, manufacturing, transportation and oil. Garden Grove – Garden Grove was founded in 1874 and incorporated in 1956. Garden Grove is the 5th largest city in Orange County with an estimated population of over 175,000. The city puts on a Strawberry Festival each year that attracts 250,000 visitors. 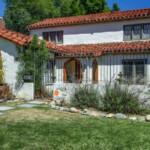 Glendale – The third largest city in Los Angeles County with an estimated population of 200,000, Glendale has been a production center for the entertainment industry with numerous studios choosing to locate in the city. Glendale has been incorporated since 1906. 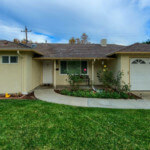 Hemet – Located in Riverside County, Hemet was incorporated in 1910 and has a population of over 80,000. Hemet’s economic base is composed primarily of the educational services, government, retail trade and health industries. 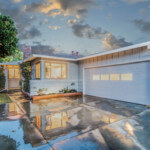 Huntington Beach – A beach city in Orange County, Huntington Beach is is known for its sandy beaches and year-round surfing. It was incorporated in 1909 and has long had the nickname “Surf City”. Huntington Beach has an estimated population of 200,000. Imperial County – Imperial County has an estimated population of almost 180,000 and was established in 1907. Located in Imperial Valley, the county borders Mexico and Arizona. El Centro is the county seat of Imperial County. Inglewood – The Forum, which was home to the Los Angeles Kings, Los Angeles Lakers and many of the biggest concerts in California, is located in Inglewood. Founded in 1888 and incorporated in 1908, Inglewood is a city in Los Angeles with an estimated population of 110,000. 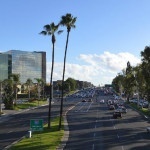 Irvine – Ranked as one of the best cities in the United States, Irvine routinely ranks as the safest city in America with a population over 100,000. Irvine is a planned city with a population of over 250,000 and was incorporated in 1971. La Habra – La Habra is a city in Orange County, California. 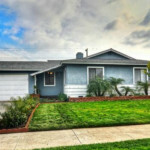 La Habra has an estimated population of over 60,000. It was founded in 1896 and incorporated in 1925. Rudolph Hass planted the Hass Avocado in La Habra in the 1920s. 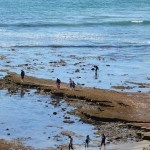 La Jolla – Meaning “the jewel” in Spanish, La Jolla is an affluent coastal community and has a population of around 40,000. Torrey Pines Golf Course, UCSD, the Mount Soledad cross and Scripps Institution of Oceanography are all located in La Jolla. La Mesa – La Mesa was incorporated in 1912 and named “the table” in Spanish due to its geography. It has a population of 58,000 and the official flower is the bougainvillea. Each October La Mesa hosts an Oktoberfest event which is the city’s biggest event of the year. La Quinta – Located near Palm Springs in the Coachella Valley, La Quinta is a resort city with many top-notch golf courses. 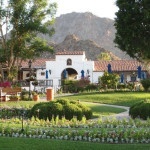 La Quinta has a population of approximately 40,000 and was incorporated as a city in 1982. Laguna Niguel – Laguna Niguel is located in Orange County, has an estimated population of 64,000 and was incorporated in 1989. 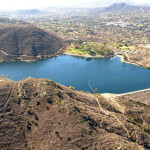 Laguna Niguel was one of California’s first master-planned communities. 7,100 acres of land was used for the community plan. Lake Forest – Lake Forest is a city in Orange County which was incorporated in 1991. 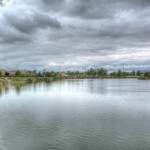 Formerly known as “El Toro”, the current name of Lake Forest comes from the city’s two man-made lakes and forests of eucalyptus trees which were planted in the early 1900’s. Lakeside – Lakeside is a rural area and known as a cowboy town. Home to over 20,000 residents, Lakeside hosts rodeos at the town’s permanent rodeo facility. In 1907 Lakeside had a horse and automobile racetrack which ran around the lake but they were eventually torn down in 1920. Lancaster – Lancaster has an estimated population of 160,000 and was incorporated in 1977. 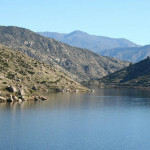 Lancaster is located in the Antelope Valley and northern Los Angeles County. 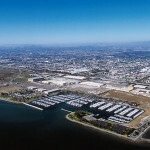 Long Beach – The Port of Long Beach is one of the largest and busiest ports in the world. Long Beach also has a local oil industry with many visible oil well pumps in certain areas of the city. 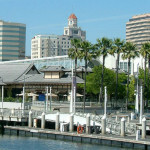 Long Beach is the second largest city in the Los Angeles area with a population of 460,000. Los Angeles – Also known as the “City of Angels”, Los Angeles, California is the largest city in California and 2nd largest city in the country behind New York City. 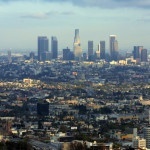 LA is known for its diversity, celebrities, film and television industries, traffic and great weather. The Los Angeles region is populated by over 18 million people. 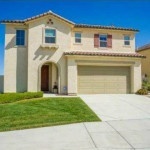 Menifee – Located in southwestern Riverside County, Menifee was incorporated in 2008 and has a population of approximately 80,000. Menifee began as a farming area in the 19th century and also had quartz mining. 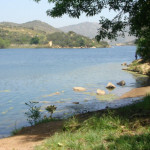 Mission Viejo – Mission Viejo is a city in Orange County with a population of over 96,000 and was incorporated in 1988. Previously Mission Viejo was for sheep and cattle to graze because of its hilly geography that made it difficult for farming and developing. Moreno Valley – Moreno Valley has become one of the largest cities in Riverside County with an estimated population of over 200,000. 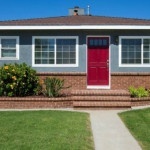 The area experienced rapid growth as home buyers left Los Angeles and Orange County looking for lower cost options. Murrieta – Located in southwestern Riverside County, Murrieta was established as a city in 1991 and is primarily a commuter town. Murrieta currently has a population of over 100,000 people and has been one of the fastest growing cities in California recently. 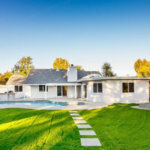 Newport Beach – An affluent area with a beautiful harbor and bay, Newport Beach is a popular destination for fishing, sailing and other boating activities. Newport Beach has a population of 86,000, was incorporated in 1906 and is located in Orange County. 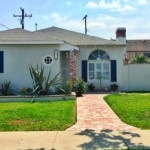 Norwalk – Norwalk is located in Los Angeles County, California. It was incorporated as a city in 1957. Norwalk has an estimated population of 107,000. Oceanside – Oceanside is beach city with a population of approximately 170,000. It was incorporated as a city in 1888. 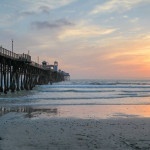 The Oceanside Pier is one of the longest wooden piers on the west coast and stretches almost 2000 feet. Ontario – Part of San Bernardino County and the Inland Empire, Ontario has a population of over 160,000. Incorporated as a city in 1891 when it was known as a health resort and area for agriculture with crops of olives, grapes and citrus. 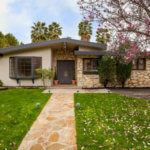 Orange County – The home of Disneyland, Knott’s Berry Farm and 40 miles of beautiful coastline, Orange County is a Southern California tourist destination. It is the sixth largest county in the United States based on population with over 3 million people calling it home. 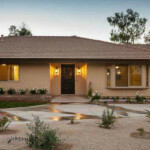 Palm Desert – Palm Desert was incorporated as a city in 1973 and currently has a population of approximately 49,000. A popular winter retreat for snow birds due to its warm weather, resorts and golf courses, Palm Desert is a city in Riverside County. Palm Springs – Since the early 1900s Palm Springs, California has been a vacation destination for those looking for dry heat, golf courses, shopping and hot springs. Palm Springs has over 130 resorts and hotels and 125 golf courses. Palmdale – Part of Los Angeles County, Palmdale was incorporated in 1962 and has an estimated population of 157,000. Palmdale’s main industry is aerospace. Lockheed Martin, Northrop Grumman and Boeing all have a large presence in the city. Pasadena – Located in Los Angeles County, Pasadena is known for the Rose Parade and Rose Bowl football game. 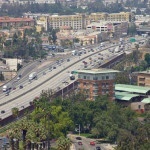 Pasadena is the 9th-largest city in Los Angeles County with an estimated population of 140,000. The city was incorporated in 1886. Placentia – The city name Placentia comes from the Latin word for pleasant. Located in Orange County, California, Placentia was incorporated in 1926. Placentia has an estimated population of 52,000. Pomona – The 5th largest city in Los Angeles County with an estimated population of 151,000. Pomona was founded in the 1830s and incorporated in 1888. The area was a major producer of citrus beginning in the 1880s and named after the Roman goddess of fruit. 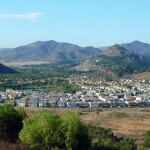 Poway – Poway’s motto is “The City in the Country” and the city was incorporated in 1980. The city currently has a population of 50,000. Poway’s began as an agriculture and farming area. Grapes, peaches, pears, apricots, honey and dairy products were all produced in Poway. 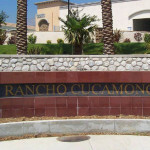 Rancho Cucamonga – Rancho Cucamonga has an estimated population of 174,000, was incorporated in 1977 and is located in San Bernardino County. Due to its proximity to major interstates and an international airport, the city has a large the logistics industry presence. 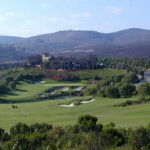 Rancho Santa Fe – Known by locals as “The Ranch”, Rancho Santa Fe is one of the most expensive ZIP codes in the country. Rancho Sante Fe is inland of Solana Beach and is one of the few areas in suburban San Diego that can occasionally receive snowfall. Rancho Santa Margarita – Incorporated in 2000, Rancho Santa Margarita is a city in Orange County, California. 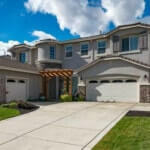 Rancho Santa Margarita has an estimated population of 50,000. The city covers almost 13 square miles. Redondo Beach – The beaches and Redondo Beach Pier are the main attractions for tourists and locals looking to enjoy the sun and ocean. 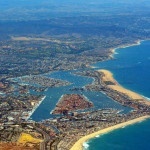 A beach city located in Los Angeles, Redondo Beach has a population of over 66,000. Riverside – Founded in the early 1870s, Riverside has expanded drastically and is the largest city in California’s Inland Empire with a population of over 300,000. The California citrus industry first began in Riverside. San Bernardino County – San Bernardino County is the 5th-most populated county in the state with an estimated population of over 2 million. San Bernardino County was established in 1853. 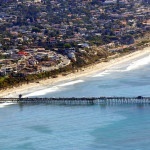 San Clemente – San Clemente is a beach city with a population of 64,000 in southern Orange County. San Clemente’s Spanish Colonial style architecture has given the city the slogan “Spanish Village by the Sea”. San Diego – First discovered by Spanish explorer Juan Rodriguez Cabrillo in 1542, San Diego was established in 1769 and currently has a population of approximately 1.4 million people making it the eighth largest city in America. San Francisco Bay Area – San Francisco is the 4th largest city in California with a population of approximately 850,000. The city was founded in 1776 and incorporated in 1850. It is a popular destination for tourists and known for its fog, cool summers and tech industry. San Marcos – San Marcos first went through a period of rapid growth in the 1950’s when water from the Colorado river first came to the region. 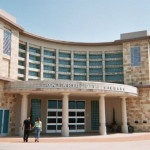 San Marcos now has a population of over 80,000 and is home to California State University, San Marcos. Santa Ana – Founded in 1869, incorporated in 1886 and has an estimated population of 330,000. It is ranked as one of the most densely populated cities in the United States. 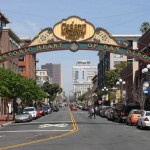 Santa Ana is located in Orange County and is included in the Los Angeles metropolitan area. 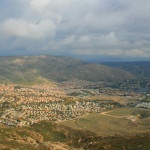 Santa Clarita – Santa Clarita is the 4th largest city in Los Angeles County with an estimated population of 213,000 and was incorporated in 1987. Two of the largest employers in the Santa Clarita area are Six Flags Magic Mountain and Princess Cruises. Santa Monica – Named after the Christian saint, Monica, Santa Monica is part of Los Angeles County. 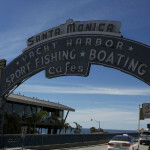 Santa Monica is an affluent beach town known for its pier and carousel. With a population of 90,000, Santa Monica is home to many who work in the nearby entertainment industry of LA. 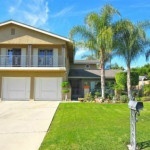 Santee – With areas of land which can be developed, Santee is a growing suburban city located 18 miles from the coast. Originally inhabited by the Kumeyaay Native Americans, Santee is currently home to over 50,000 people. Solana Beach – Incorporated in 1986, Solana Beach is an affluent beach city in San Diego County with an estimated population of 12,800. The city was one of the first in the country to ban smoking on their beaches. South Gate – South Gate has an estimated population of 96,000 and is located in Los Angeles County. It was given the nickname “Azalea City” after it selected the Azalea flower as its symbol when it incorporated in 1923. Temecula – Named “the place of the sun” by the local Pechanga Native Americans. Today it is known for its wine, golf courses and festivals that take place throughout year. Temecula is the southwestern corner of the Inland Empire and is home to over 100,000 people. Torrance – Located in southwestern Los Angeles County and known as one of the safest cities in Los Angeles due to a low crime rate, Torrance has a population of over 147,000 and was incorporated in 1921. Tustin – Located in Orange County and part of the Los Angeles metropolitan area, Tustin and was incorporated in 1927 and has an estimated population of 78,000. 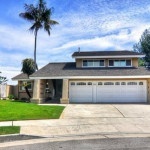 In 2009 Forbes chose Tustin as one of “America’s Top 25 Towns to Live Well”. San Luis Obispo – San Luis Obispo was incorporated in 1850 and has a population of approximately 281,000. San Luis Obispo County is the 3rd largest wine producer in California. Daly City – Located within San Mateo county, Daly City is directly south of San Francisco. Daly City was incorporated in 1911 and currently has an estimated population of 106,000. The city was named for businessman John Donald Daly. Laguna Beach – Located in Orange County with an estimated population of 23,000. The city was incorporated in 1927. The main industry of the city is tourism and an estimated 3 million people visit the city each year. 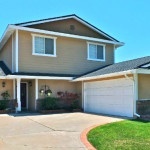 Vallejo – Located in the North Bay region of the Bay Area, Vallejo is situated 24 miles northeast of San Francisco. Vallejo is the largest city within Solano County with an estimated population of 120,000. Fremont – Incorporated as a city in 1956 and part of Alameda County, Fremont is located in the southeast section of the Bay Area. Fremont is the 4th most populous city in the Bay Area with a population of 232,000. Fremont was incorporated as a city in 1956. – Nicknamed “The City of Trees and PhDs” because of the amount of residents with doctoral degrees and commitment to planting trees in the city, Claremont is located in east Los Angeles County. Claremont was incorporated in 1907 and the population is approximately 36,000. 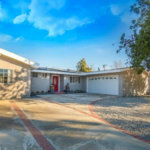 Porter Ranch – An affluent neighborhood located in Los Angeles County, Porter Ranch is situated in the northwest section of the San Fernando Valley. Porter Ranch has an estimated population of 30,000. Walnut – Ranked in Money’s Best Places to Live in 2009 and 2011, Walnut is located in the eastern region of Los Angeles County. Walnut was incorporated as a city in 1959 and the population is currently estimated at 30,000. 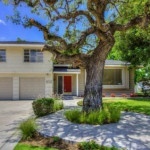 West Hills – Located in Los Angeles County, the neighborhood of West Hills is in the western region of the San Fernando Valley and was previous part of Canoga Park. The population is approximately 42,000. Manhattan Beach – A beach city known for “Sun, Sand, Sea” such as surfing and beach volleyball, Manhattan Beach was incorporated in 1912. The city has an estimated population of 36,000 and was previously sand dunes until leveled in the 1920 and 1930s. 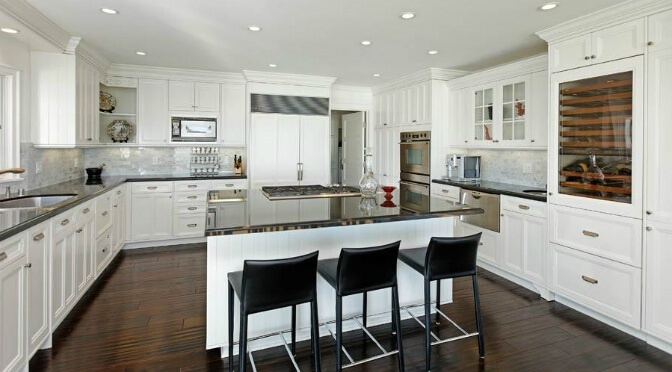 Brentwood – The affluent neighborhood of Brentwood is located in Los Angeles and home to many celebrities. Brentwood has an estimated population of 35,000 and the Getty Center is located here. Cerritos – Meaning “little hills” in Spanish, Cerritos had been called “Dairy Valley” in the past due to the dairy farms in the area. It became a city in 1956 and currently has an estimated population of 50,000. 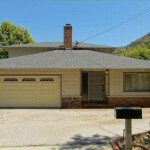 Woodland Hills – A neighborhood within in Los Angeles County in the southwestern section of the San Fernando Valley. It has an estimated population of 64,000. 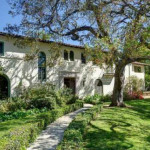 Beverly Hills – Incorporated as city in 1914 after a group of investors looking for oil but found water instead decided to develop the land into a town. Beverly Hills is known for home to many Hollywood actors and celebrities. – This region is known for it’s many wineries. It was incorporated as one of the original counties of California in 1850 and has an estimated population of 143,000. 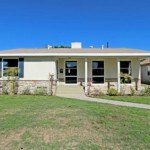 Rancho Palos Verdes – Also known as RPV, Rancho Palos Verdes is located in LA County. The name means “Ranch of Green Sticks” and the city was incorporated in 1973. Santa Barbara County – Located in the Central Coast of California, the county was incorporated in 1850 as one of the original counties of California. The population is estimated at 445,000. Merced County – Located in the Central Valley of California and has an estimated population of 268,000. The county was incorporated in 1855 and was named after the Merced river. Placer County – Located near Sacramento, Placer county was incorporated in 1851 and has a current population estimate of 375,000. Rocklin is the county’s largest city. Solano County – Located in the San Francisco Bay Area, the county has an estimated population of 436,000 and was incorporated in 1850. Santa Cruz – Incorporated in 1850, Santa Cruz County is located on the Pacific Ocean and has more than 29 miles of beaches. The current population estimate is 275,000. Santa Cruz County was one of the original counties of the state of California. 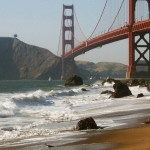 Marin County – Located in the San Francisco Bay Area, Marin County was incorporated in 1850. The estimated population of Marin County is 261,000 and San Rafael is the largest city in the county by both population and area. 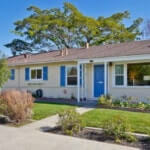 San Mateo – Located in the San Francisco Bay Area, San Mateo County was established in 1856. Daly City is the largest city within San Mateo County by population and Redwood City is the largest city area. Sonoma – Part of the nine-county San Francisco Bay Area region, Sonoma County was incorporated in 1850. 502,000 is the current population estimate of Sonoma County. Santa Rosa is the largest city in Sonoma County by population and area. Sonoma is the largest producer of wine in the state with over 250 wineries. Santa Clara – Founded in 1777 and was incorporated in 1852, Santa Clara was named after the Spanish mission established there. It is the 9th most populated city in the Bay Area and has an estimated population of 125,000. Ventura County – Located northwest of Los Angeles County with an estimated population of 846,000, Ventura County is split into two sections, West County and East County. The area that would become Ventura County was discovered by Juan Rodriguez Cabrillo in 1542. 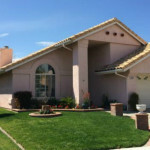 Victorville – Victorville is part of San Bernardino County and has an estimated population of 122,000. The city was incorporated in 1962. Victorville has been used as a filming location for many Hollywood movies. 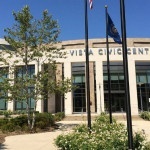 Vista – Located seven miles inland from the ocean, Vista has a population of approximately 100,000 people. It was founded in 1882 and incorporated in 1963. In 2008, Vista was rated the 7th best place for family life in the United States. 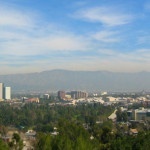 West Covina – West Covina has an estimated population of 108,000 and is located in Los Angeles County. 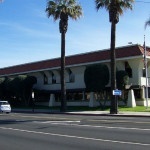 West Covina incorporated as a city in 1923 and was one of the fastest growing cities in the United States in the 1950s. Westminster – Founded in 1870 as a Presbyterian temperance colony and incorporated in 1957, Westminster is a city in Orange County. In the 1970’s many Vietnamese came to the city and it now has one of the highest concentrations of Vietnamese Americans in the country. Yorba Linda – Yorba Linda is a city located in Orange County, California and was incorporated in 1967. It has an estimated population of 68,000. One of Yorba Linda’s first industries was agriculture. Contra Costa County – Incorporated in 1850 with a current population of approximately 1,126,000. 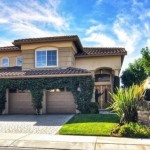 Contra Costa is located in the San Francisco Bay Area and occupies the northern portion of the Easy Bay region. Stanislaus County – Located in California’s Central Valley, the county was incorporated in 1854. The largest city in the county by population and area is Modesto. – Located in Northern California’s Central Valley, the county was incorporated in 1850. Stockton is the largest city in the county. San Joaquin County has a population of 726,000. 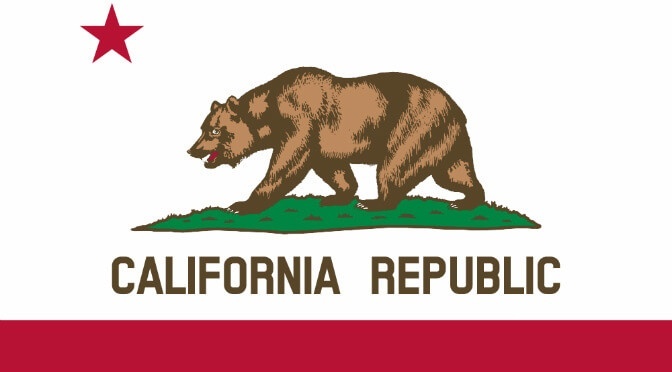 – Located on the Pacific coast of California, the county was incorporated in 1850 and has a population of 434,000. It was named after Monterey Bay and largest city within the county is Salinas. Yolo County – Located in the Sacramento Valley with an estimated population of 213,000, Yolo county was incorporated in 1850. The largest city within the county by population is Davis. Arcadia – A city in Los Angeles County with a population of approximately 58,000. The city of Arcadia is approximately 13 miles northeast of downtown LA at sits at the base of the San Gabriel Mountains. Stockton – The city of Stockton is located within San Joaquin County and is part of the California Central Valley. Stockton was named after Robert F. Stockton, a United States Navy Commodore, and was the first community in California without a name of Spanish or Native American origin. Fontana – The city is within San Bernardino County and has an estimated population of 212,000. Fontana is home to the Auto Club Speedway, a racetrack hosting many race events each year. Santa Rosa – Part of Sonoma County. With an estimated population of 175,000, Santa Rosa is the largest city in Sonoma County, the North Bay, the Redwood Empire and Wine Country. 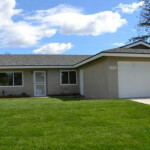 Elk Grove – Located in Sacramento County and was incorporated in 2000. The population of Elk Grove is estimated at 170,000 which makes it the second largest city in Sacramento County. 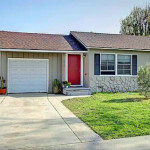 Hayward – Located in Alameda County in the East Bay region. The motto of Hayward is “Heart of the Bay”. It was incorporated as a city in 1876. 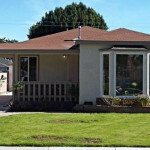 Sunnyvale – With a population of approximately 153,000, Sunnyvale is the 7th largest city in the San Francisco Bay Area. It is part of Santa Clara County and part of “Silicon Valley”. 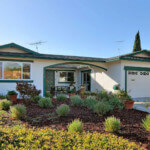 Concord – Located in Contra Costa County, Concord was incorporated in 1905 after being founded in 1869. The population is approximately 129,000.